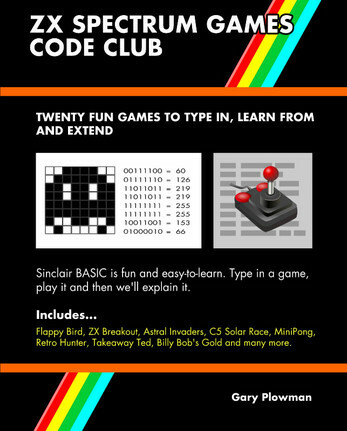 This book is ideal for Retro Computing / ZX Spectrum fans (aka Timex 2068 in USA) and beginners to coding of any age, that want to learn or practice coding simple computer games with Sinclair BASIC. Contains 20 games specifically created for this book, from retro Arcade classics to more wacky game ideas. Ideal for STEM coding activities for kids and adults. Learn to create a simple game loops and to create graphics with binary code. Also makes a great geek gift for someone. Internet browser emulators: using Chrome / FF etc. Ideal for Retro Computing fans that want to dust off their ZX Spectrum (Speccy) or an emulator and type in some code, 'old school'. In one sitting type in a game, play it and then we will go through it. The book doesn't go over every single line of code, but rather summarises key components and newer sections for each game. This keeps the process fun and engaging. An interactive learning book intended for all ages to enjoy at home and also a great introduction to programming and game design for Code Clubs and STEM events. So type in a retro game and lets have some fun! Many Emulators to choose from: ZX Spin, Spectaculator, Marvin, Fuse, Speccy, etc. The American version of the ZX Spectrum machine was sold under the name Timex Sinclair. Other compatible clones of ZX Spectrum: TS2048, TS2068, Pentagon, CZ-2000, TK90X, Didatik, Hobbit, plus many more. 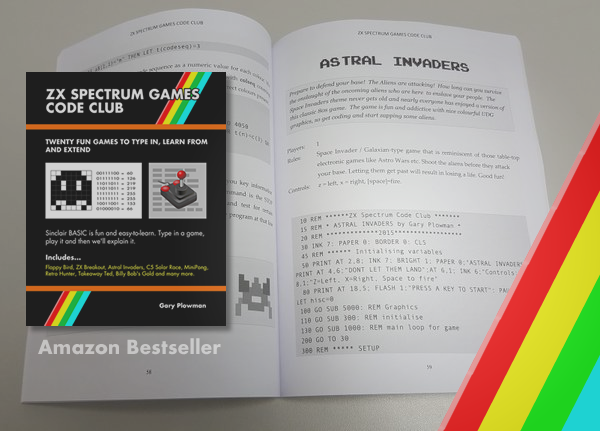 Plus if you are lucky enough to have backed the new ZX Spectrum Next - then this is ideal for using with this book. 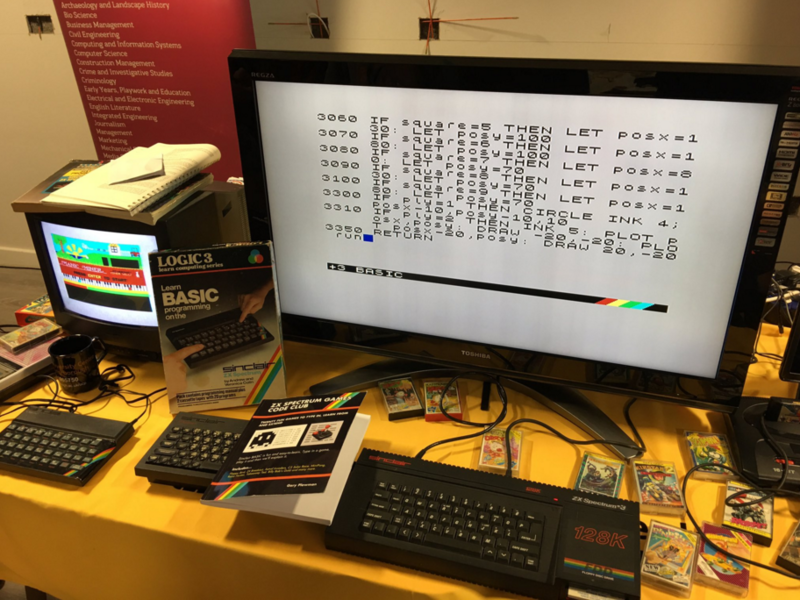 If you have a STEM or STEAM event then why not bring the simplicity and geek fun of Retro Coding to it. If you want to encourage a family member to get coding, this could be ideal.